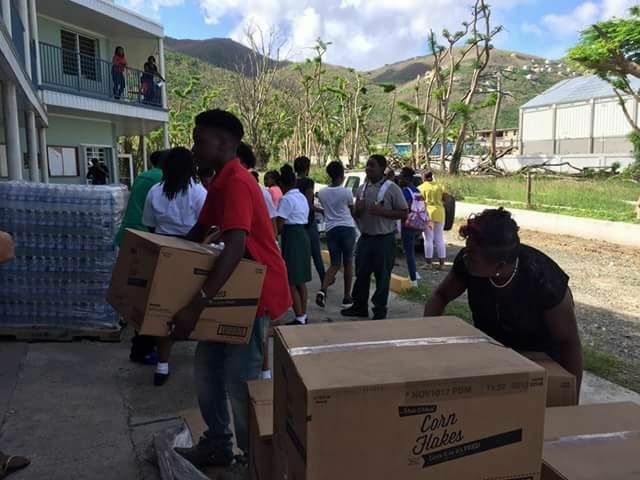 He said, "At this time at the greatest challenge in the history of our country, the natural disaster came at a time when the Rotary movement in the BVI is at it's strongest. The strongest it has ever been." Mr Farara further commented that the Rotary movement allowed them to call on the resources of people from all over the world in their time of need. Mr Farara emphasised that the Rotary movement came together in the aftermath of the hurricane and assisted persons throughout the territory. "The Rotary movement is very much alive, well and kicking; performing on all cylinders here in the British Virgin Islands," expressed the Assistant Governor of the Rotary Club. He continued, "I say fortunate because it requires the kind of help and assistance that was required on the ground in the aftermath of these devastating hurricanes. It required service organisations involvement and organisations that had the depth, capacity, enthusiasm and the commitment to make the kind of contribution and the contribution to the relief effort that was so desperately required." 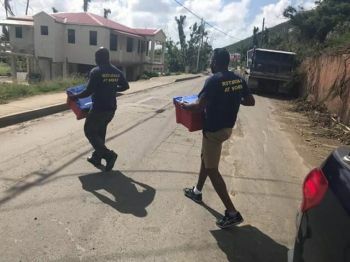 Sharing the same sentiments as her fellow Rotarian, Ms Delma Maduro, District Governor Elect, disclosed that the Rotary family acted quickly in the aftermath of the hurricane. "The BVI Rotary family, we sprung into action immediately because we are suppose to be people of action. 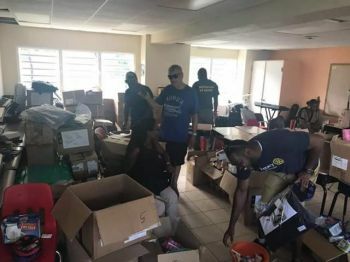 We are suppose to be able to identify needs and act on those needs and the need was great immediately following the hurricane and we sprung into action," Ms Maduro said. Despite going through their own situations after the hurricanes last year, at least 150 Rotarians volunteered in some shape or form to assist persons in need, Ms Christopher told our newsroom. Find something else to hate on, the lady doing the darn thing and she carries herself beautifully. What about the roof programme? More hot air than Tabin big trucks. No one person can rescue us from a bad system however he or she with the help of otherscan begin the process of dismantling that system and replacing it with a more progressive and efficient one. We need people with enough forsight and gumption to lead.